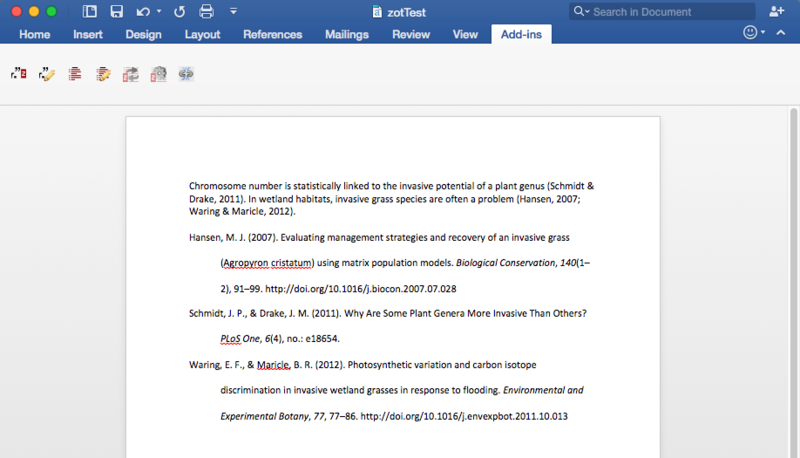 Zotero can work with your word processing program (Microsoft Word or OpenOffice) to help you with in-text citations. 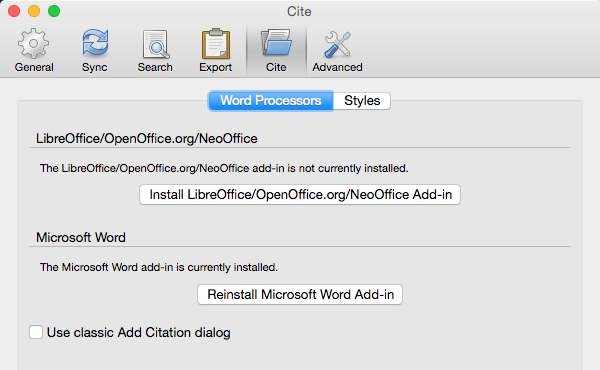 Open your Zotero preferences and look at the "Cite" tab to make sure you have the correct add-in for the word processing software you're using. If you're using Zotero for Firefox, you'll need to download the add-ins. When the add-in is installed, Zotero tools will be available from within your word processor. The appearance of these tools differs based on software versions and platform. 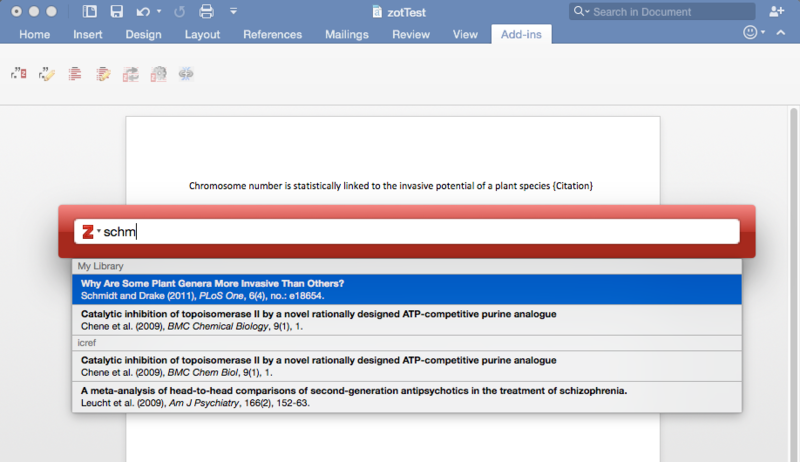 The screenshots below show Zotero Standalone being used with Microsoft Word on a Mac. In Word for Mac, you should see an "add-in" tab within Word. The Zotero tools are displayed as icons in this tab. The icons are hard to decipher, but if you mouse over them you can see explanations of what they do. You'll need to have Zotero open to use these tools, even though you'll be working primarily in Word. It is best to add all of your in-text citations with Zotero. Zotero then knows what you have cited, so when you finish your paper you can just click the "Insert Bibliography" button and Zotero will create a reference list consisting only of those items you have cited in-text.